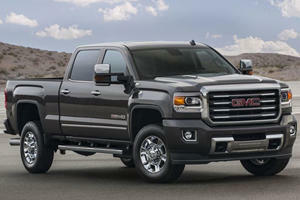 With the usual big truck options from single to crew cab and rear-drive to all-wheel drive, the GMC Sierra 3500HD has spec and options that will keep almost anyone happy. Choices can be difficult with three cab styles, four wheelbases and two bed lengths on option. 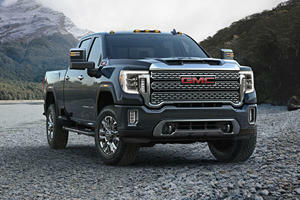 Being akin to a more refined version of the Silverado, the GMC Sierra does cost a bit more, and so the 3500HD range starts off at $35,290 but if you take the biggest and best options you will see a truck that sets you back over $70,000. 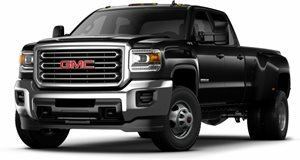 Engine options are good, the 6.6-liter Duramax diesel with the Allison 6-speed auto is the top choice if your budget allows, and it has the power to pull the Grand Canyon closed. 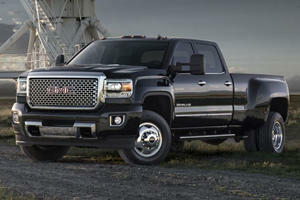 If luxury is your thing, you can option the Denali trim and you can roll in style, big style.